We are Manufacturer, Supplier & Exporter of Rotary Vane Feeder for Hammer Mills and our setup is situated in Miraj, Sangli, Maharashtra, India. This is a equipment used to feed the raw material in to the grinder uniformly. This is fitted with a dynarnically balanced rotor. The vanes are designed such that material is distributed across full width of the full screen Hammer mill. 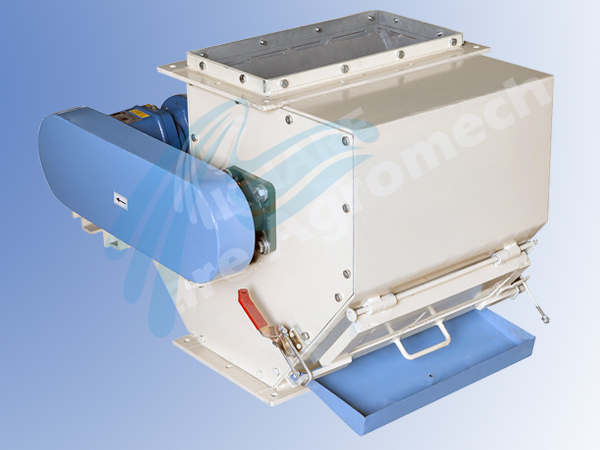 Rotary vane feeder can be synchronised with full screen hammer mill and speed can be controlled using VFD (variable frequency drive) automatically or manually. We supply VFD control panels too.